Check out Fandom In Stitches tomorrow for a LOVEly announcement! 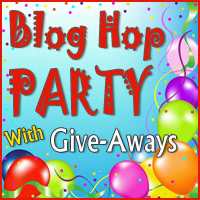 Come back Thursday for the Blog Hop Party with Give-Aways! This entry was posted in -sewhooked website- and tagged blog hop party, ttmt on November 19, 2013 by Jennifer Ofenstein.